This world-known challenger bank has chosen no other place than Vilnius to open its fourth office in. And as it turns out, we share more than just the love for the Baltics. If there was a topic everyone keeping one’s finger on a tech pulse was following, it had to be FinTech and the challenger bank take-over. Revolut is one of them, established in London in July 2015, with its eminence coming from the rapid growth of customers and investments raised. The recently launched Vilnius office for the Baltic market let everyone know – Revolut is here to stay. The founder and CEO Nikolay Storonsky has already confirmed the attendance at TechChill 2018, and having just recently discovered Revolut’s growth plans within the region, these keynotes you shouldn’t miss. 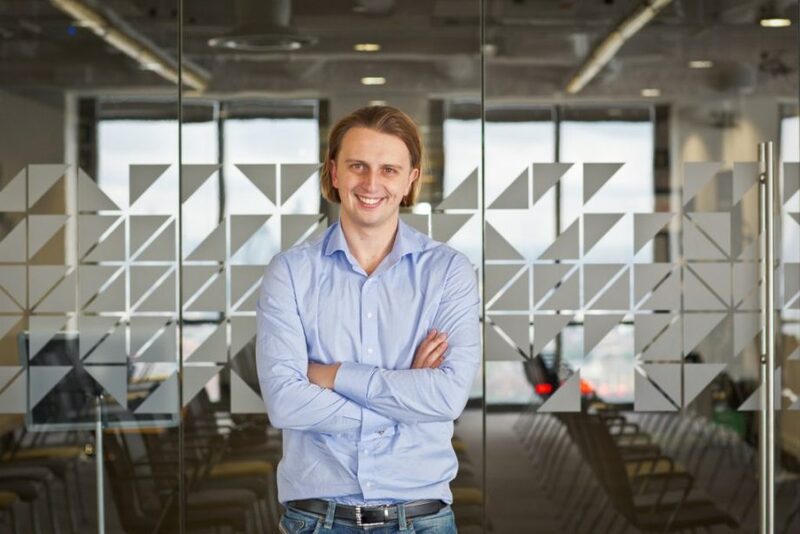 Read more on Revolut and the stand they take working in FinTech and doing so in the Baltics. How do you see the FinTech scene evolving today? What are the main challenges and opportunities? What is the current Revolut‘s user profile and how do you see it change in near future? Revolut started out as mostly a travel card, being the number one choice for people who travel often and use different currencies a lot. The majority of our users is spread over the spectrum of 25 – 34 years, with 29-year-olds being the largest age group. However, the typical user profile has been shifting lately, due to the introduction of many new Revolut features that are highly useful for everyday life. More and more people discover the benefits of sending and receiving money instantly, which makes splitting bills, paying things like rent, or sending remittance money so much easier and cheaper. Our analytics feature allows to track and control your expenses within the app, as users can now set limits to their spending and that way stay mindful of their budget at all times. Naturally, this only works if Revolut is used as a daily card, so by tapping into the demographics of people who want to be in control of their budget, we are further making Revolut a more of a daily card. By providing unique IBANs to the users, Revolut also allows people to get paid directly to their Revolut account, so that eliminates the need to top up from your local bank account. Therefore, by turning Revolut into a daily choice of our users, we are also working towards making it their primary bank account, where users would receive their salary, make use of the recurring payments option, etc. Also, expanding the spectrum of daily operations that can be handled with Revolut, we would naturally expand the age group of our typical user. What potential do you see for Revolut in the Baltic region? The Baltic region has been very receptive to Revolut even way before the local office was established in September 2017. With zero money spent on marketing, we already had around 50.000 users in Lithuania, 5000 in Latvia and 3000 in Estonia. The growth was definitely boosted after the launch of the Baltic office in September 2017, and now the goal is to double the number of users in Lithuania, reach 25.000 in Latvia and 15.000 in Estonia by the end of 2017. Over the course of 2018, our goal is to have 250.000 users in Lithuania, 100.000 users in Latvia and 100.000 users in Estonia, a total of 450.000 users in the Baltics. Overall, within the next 3 years, Revolut is aiming to have 50 mln. customers worldwide. Last but not least, what are you bringing to the table for TechChill 2018 and what expecting in return? After launching in 2015, today Revolut is one of the fastest growing FinTech startups in the world. We have grown from 0 to 1 mln. customers in two years without any marketing budget, and acquired almost $90 mln. of investments. Revolut is firstly a phenomenal example of how viral great ideas can be, and it perfectly embodies what an idea needs to make people want to use it, and, even more so – talk about it. We may all have a great fridge at home that we’re completely satisfied with, but we don’t really go around talking about it, and recommending that our friends get the same one. At a first glance, you may think that Revolut is just an app or just another debit card, but then again – how come the word-of-mouth marketing picked up so fast in our case? Another story that Revolut embodies, is a major change in how we see and operate in the financial world – be that daily operations for personal use, or corporate business work. By reinventing how international financial transactions are conducted, Revolut defies the limitations that banks have and that international borders impose. Much like Apple told people what they wanted before they had thought about it themselves, Revolut shows its’ users how much easier life can become in a way that they never knew they needed so much. And in return, we naturally expect growing excitement and love for Revolut, growing community of like-minded people who share the same vision of the future beyond banking and new partnership ideas! To meet both Nikolay and the Country Manager for the Baltics – Andrius Biceika, and hear more on Revolut, secure your TechChill 2018 pass! The Early bird offer is still on, available until October 20!